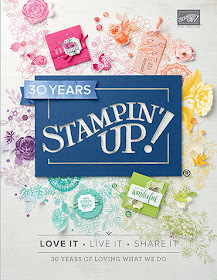 It is the start of a brand new Stampin' Up! 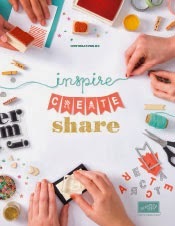 year and with that comes a beautiful new catalogue filled with gorgeous new stamps, accessories and lots of inspiration. With the New Year comes new resolutions and this year I have decided not to hold my annual stamp club. This is the first time in 8 years that I have not run the club but in the current climate I believe that people are hesitant to join because of the ongoing commitment. I wish to thank my loyal customers for their support of my previous stamp clubs. 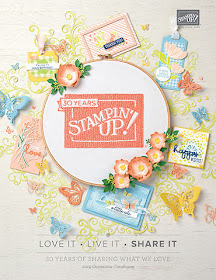 However, from time to time I am going to put forward to you, special offers involving Stampin' Up! Goodies. I am also committing myself to sending out a more regular Newsletter and hope to do this at the beginning of every month. Following on from these monthly newsletters, I will be placing a regular Monthly Order and this will be done on the 7th of each month. 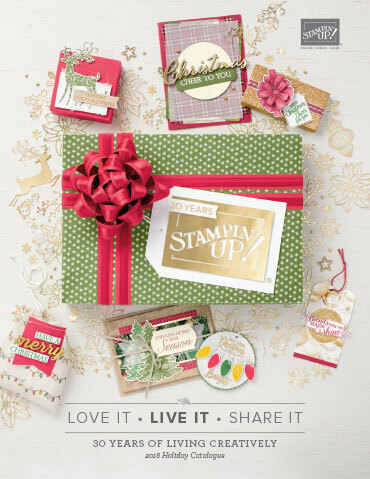 If there are enough orders placed and the order total reaches $300.00, someone who placed an order will be randomly chosen to be the hostess for the month thus receiving the Hostess Benefits of $50.00 worth of free product of their choice. Thank you to everyone who still reads my blog, I know you're out there and I appreciate your loyalty.